Melbourne’s very own music maestro is moving forward at a lightning pace and is looking ahead to very creative and productive year. With a history as rich and entrenched in dance music folklore as Marcus Knight’s, it’s no easy feat to be progressing continuously and still innovating after more than a decade in the industry. His own description of his evolution is a transition into Tech House and Techno with elements of Progressive thrown in for good measure. Marcus is viewing this year as a fresh start for himself and looking to share this new artistic direction with electronic lovers and peers all over the globe. With events already lined up for Australia’s summer and then on to summer in Europe, he is sure to be pushing his newest creations and inviting all to enjoy the journey. 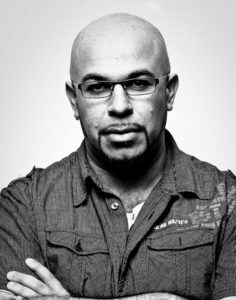 Influenced by Soul and Disco, his music has a unique flavor that is becoming renowned as the Marcus Knight sound. He has had official credits from Carl Cox, Armand Van Helden, Missy Elliot and many more. Powerful, unrelenting and dark, his productions are laden with crisp percussion and creative synthesis to encapsulate the listener and drag them into the addictive rhythms. Releasing ‘Meridian’ in January, supported by Benny Benassi and Kaskade, his repertoire of bangers continues to grow. He has had many Top 20 Club Hits on Beatport and Traxsource via many labels, and has mixed compilations for Sony Music. Knight’s residencies includes The Albion Rooftop, Temperance Hotel, Storyville and guest spots at 161 and Day Spa at Pawn & Co.